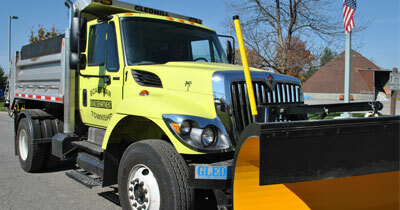 Spring finds the Boardman Township Road Department cleaning up winter storm damage and debris. All streets are swept, storm sewer lines checked, cleaned and repaired. Also, damage to township streets incurred during the winter months is repaired. The Annual Resurfacing Program continues each summer as entire streets and/or sections of streets are resurfaced according to a yearly maintenance schedule and a yearly assessment of road damage to every township maintained street. In addition to street resurfacing, work at this time of year shifts into full swing with the improvement, enlargement and upkeep of township-maintained storm sewers and water courses. 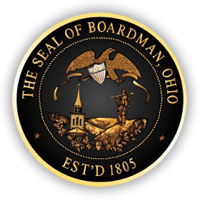 In the fall, all residents of Boardman are provided with Free Leaf Pick-Up on a scheduled basis. Each year over 1,000 tons of leaves are collected and disposed of by the Road Department. Naturally the biggest job of the winter is Snow and Ice Removal. The Road Department has the equipment needed to handle the worst of Ohio’s winters. The department prides itself on being able to maintain safe road conditions throughout the winter season. To keep abreast of happenings in the Road Department, please feel free to check out our Reports.